In her autobiography, she revealed a harrowing account of sexual assault by a TV executive she will only refer to as "The Executive". She was so traumatized by the incident that she ended up tanking her career in a years-long battle with alcohol and drugs. 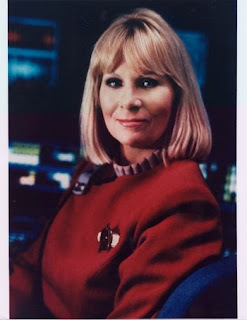 She finally emerged triumphant and I was fortunate enough to meet her at a Star Trek convention in Las Vegas before she died. She was gracious and charming and told me she thought I looked like her, which was truly one of the nicest compliments I've ever received. I hope that today she knows that steps are finally being taken to eradicate this "casting couch" mentality from show business forever and that courageous voices like hers will no longer be silenced. Readers frequently ask me what inspires a book. 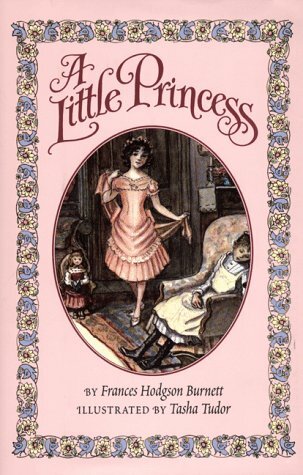 Many of them may not know that my book ONCE AN ANGEL is my heartfelt homage to one of my favorite books of all-time--Frances Hodgson Burnett's A LITTLE PRINCESS. I had always wanted to write a "grown-up" version of the story so I started asking myself questions like, "What if 'Sarah Crewe's' guardian thought his new ward was much younger than she actually is? What if he was hiding a dark secret more damaging than losing a fortune in diamond minds that never existed? What if SHE went looking for HIM because she blamed him for never rescuing her from a life of servitude in that dreadful girl's school? What if they finally came face to face and were unable to resist their overwhelming attraction to each other?" Of course I added my own dizzying twists and turns to make the story my own but I will always be grateful to Frances Hodgson Burnett for writing two of the books that continue to have the greatest influence on my writing--A LITTLE PRINCESS and THE SECRET GARDEN. Happy Birthday to the stunning beauty and brilliant comedienne who was Lucille Ball! The thing I loved the most about Lucy was that although she often came across as "daffy", she was always the smartest person in the room. 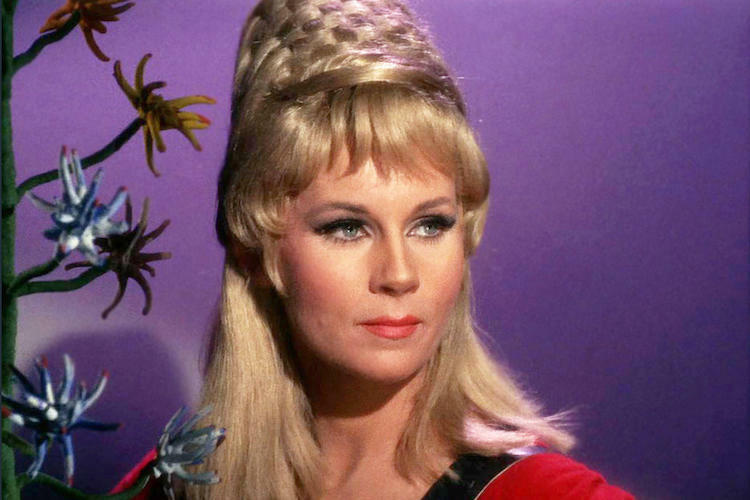 3) There would be no Star Trek without Lucy. Lucy and the studio she founded with Desi Arnaz (Desilu) are entirely responsible for the existence of STAR TREK and Lucy was the one who personally gave them the green light. 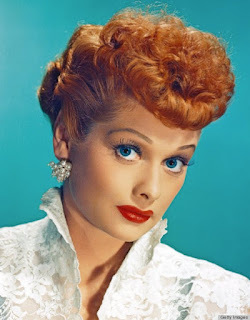 I once heard Gene Roddenberry's son speak at a Star Trek convention in Las Vegas and he said when they were filming the Star Trek pilot, they looked over and someone was sweeping the corner of the studio and it was Lucille Ball. 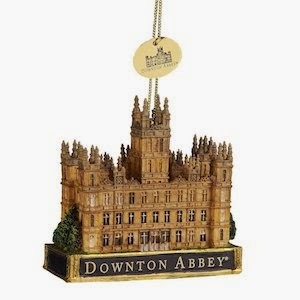 Win a DOWNTON ABBEY Ornament! I'm so excited to announce a very special HOLIDAY CONTEST today! My dear pal and fellow romance writer Eloisa James and I are celebrating our mutual love of DOWNTON ABBEY by giving away 6 gorgeous DOWNTON ABBEY ornaments to six of our beloved readers. All you have to do to be eligible to win is sign up for BOTH of our newsletters by midnight 12/19. A winner will be chosen this Friday and the ornament will be mailed on Monday. 3) Add ground beef and brown. Drain and return to pot. 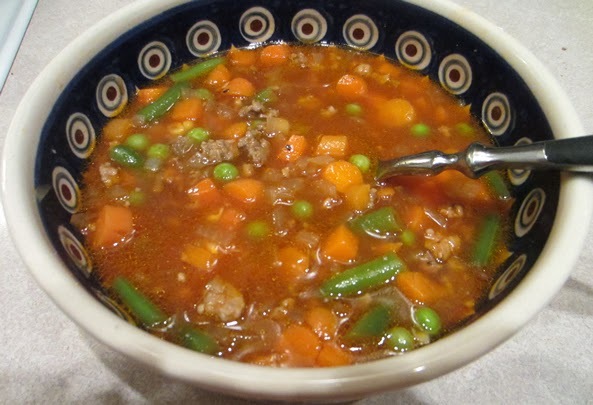 Serve with cornbread or warm rolls and enjoy! Like most soups, the longer you can let it sit before serving, the better it will taste. Also great after being refrigerated overnight, then re-warmed. Serves 4 comfortably with a little leftover. Double up as needed. I started my journey through the valley of the shadow of death in 1995 when my 55-year-old mom got very sick. We first realized that something was wrong with her brain when she stopped tolerating the routine meds she took for her bipolar disorder. She lapsed into a coma for over a week and I remember begging God to let her live. If I'd known how dark the valley and how long the road ahead of her, I probably would have been begging Him to go ahead and take her home. We ended up traveling that road for eighteen years. For the first five years or so of her illness, I was so incoherent with grief and pain I couldn't express the simple fact that a terrible thing had happened to my mother. There were times when I was so enraged that all I wanted to do was grab God by the lapels, slam Him against the wall and demand that he help her. And there were times when I could do nothing more than writhe on the floor and plead over and over again, "Son of David, have mercy on her." Because of her worsening dementia and the fact that we could no longer give her the meds she needed to manage her bipolar disorder, she required long-term commitment and at one point, she was probably the sickest patient at the mental hospital. She would literally run around and around the room, beating against the walls like a trapped bird. 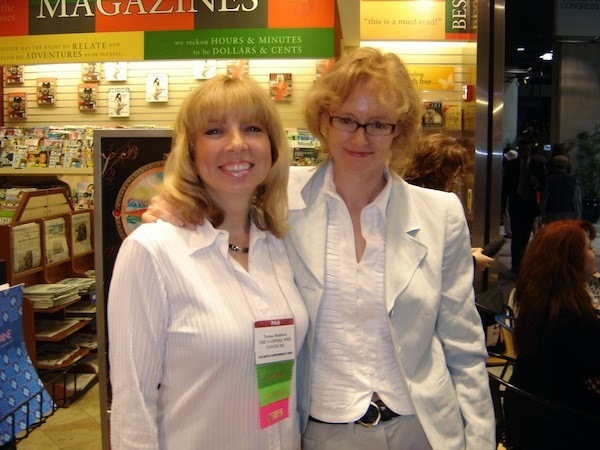 I couldn't visit her for more than five minutes at a time because this woman—this sweet, generous, kind-natured woman who had always looked at me as if I hung the stars—had turned into a raging stranger who would scream unspeakable obscenities at me and my dad. I remember walking out of the hospital one day and sinking to my knees in the grass, so battered by grief I couldn't even make it to my car. For almost eight years of our journey, I prayed daily that God would let her die. Then I had to live with the guilt of wondering if I wanted Him to end her suffering...or mine. Things did improve. The doctors found the right combination of meds. She stabilized and we were able to move her to a nursing home where we fixed up a cozy room for her. She quickly won the hearts of the nurses with her unflagging sense of humor and unquenchable spirit. She spent a lot of time watching her favorite videos. Between me and my dad, we visited her five times a week and we slept well at night, knowing she was warm and dry and even a little bit spoiled. So the valley got a little bit brighter. At the nursing home's annual picnic one year, a lovely Christian lady named Wilda Harrison came up and put her arm around me and said, “You are so lucky to still have both your mom and your dad.” I have to confess that my first response was, “Huh?” But then I went home and thought about it. I could still visit my mom whenever I wanted. I could still put my arms around her and hold her tight and tell her I loved her. I finally came to an even more startling conclusion. I never really wanted my mother to die. I just wanted for her to be healed. The situation didn't change, but my attitude did and that made all the difference. My mom’s earthly journey ended on June 23rd of this year at the age of 73 when God made good on his every promise and took her Home. I still can't bring myself to thank Him for my mother's suffering, nor do I think he would expect me to, but I have come to the fork in the road where I can thank him for mine. Where I can see the blessings that came from it. 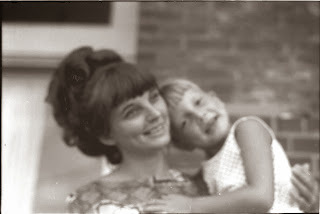 My mom lived until we had learned all of the lessons she had to teach us. I like to think I'm a more compassionate person than I was before she got sick. I've learned how rewarding loving something wounded and imperfect can be. I've learned how kind and caring others can be when you're hurting. I watched the staff at the nursing home stand in awe of my father's unconditional love for his wife. I stood in awe myself of my mother's spirit, her sense of humor, her sheer determination to survive and find some joy whenever she could and I've decided that there's no one in the world I would rather be like. Dear Young Women and Teenage Girls of the World: I have NOTHING against 50 SHADES OF GREY or Christian Grey. The book is fiction and Christian is a fantasy. But in REAL LIFE, if a boy or man every tries to 1) separate you from your friends and family 2) tell you what to wear/drive/eat and how many times you should work out a week 3) confess that his fondest desire is to "hurt you", then you should not walk calmly toward the exit. YOU SHOULD RUN SCREAMING FOR THE EXIT!!! 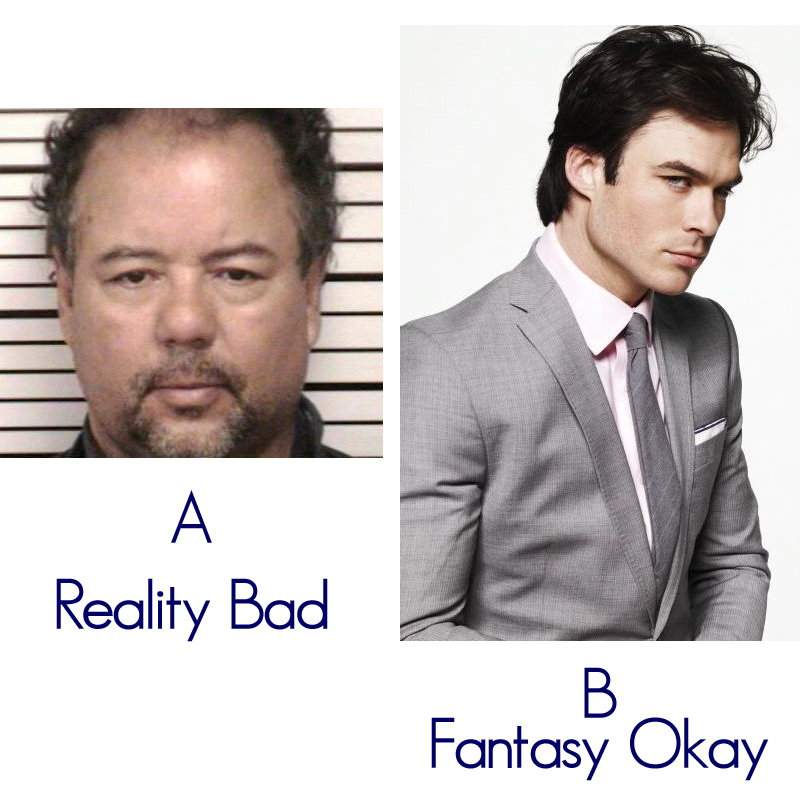 Because in real life, you're far more likely to end up with A then B. Never be with a boy or man who makes you feel like less than yourself.